Prawns stir fry / shrimp stir fry is a very tasty recipe with prawns. This crispy fried shrimp has softness inside and crispiness outside. Crispy prawn fry with hot white rice is the best combo for lunch ever, i guess. If you are a sea food lover and you crave for fried prawns , then this recipe for fried shrimp is a must try . This is not a deep fried shrimp recipe, but it requires more oil for a crispy texture. 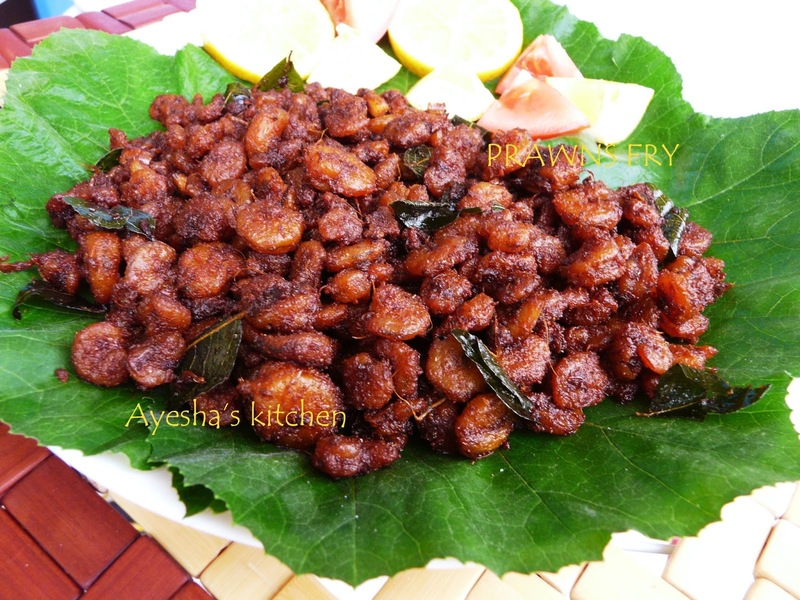 An easy prawn varuval / varuthath / fry with only very few spices. Do give this spicy fried shrimp recipe a try. Grind together all the spice ingredients in a blender to a fine paste with few tbsp of water. ( except oil ). The shrimp marinade must be a little bit thick. Now marinate the cleaned prawns with this marinade well and set aside for 15 minutes. Then heat a frying pan with some oil. For crispy frying, we require more oil. Fry the marinated prawns in batches along with curry leaves until crispy, over a medium flame. You must stir in each 2-minute intervals. 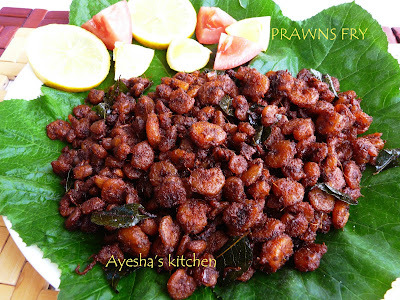 It will take around 20 minutes for a crispy tasty perfect prawn fry. Enjoy with hot rice... it's really delicious!!!! !